Lilian Faithfull Care is a charity providing care, support and a ‘home for life’ to the elderly in Gloucestershire. We were established in 1946 by our namesake, Lilian Faithfull and we have remained true to the founding principles of the charity; a desire to improve the lives of others through care and dedication. Putting care before profit – as a charity we own our homes and are able to run them differently from commercial providers. Taking pride in looking after those who have already given so much. Ensuring dignity, showing respect and adopting a person-centred approach to every single resident that lives with us. Having plenty of fully trained staff on duty, providing support and putting up the wages of those doing one of the most important jobs in society. Providing food that is nutritional and of excellent quality that we would want to eat. Reinvesting any financial surplus we make for the benefit of our residents. As a charity we are governed by an experienced Board of Trustees and have no shareholders. We provide a range of care including day care, residential care, assisted living and nursing care. 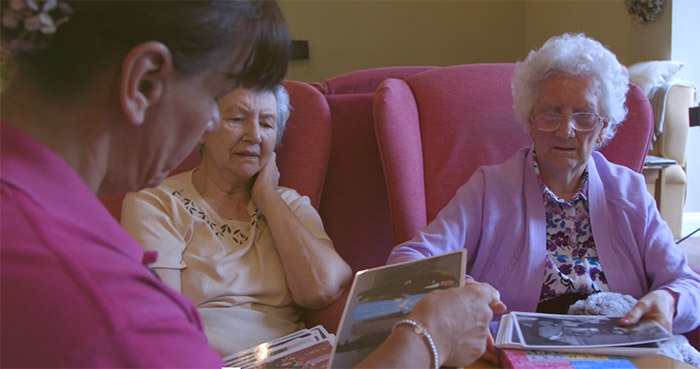 We care for people with a wide range of conditions and have specialist knowledge of dementia care and end of life care. Many of our homes also offer care for couples. What does a ‘Home for Life’ mean? Our homes are full of life, fun and laughter, with a busy and wide range of activities. Lilian Faithfull Care owns each home outright, giving stability and security for all. As a charity we have never had to ask a resident to leave due to personal financial circumstances.